I absolutely love soup! My husband can attest to the fact that I make soup about 2-3 times a week. I’m not sure how much he loves it, but he never complains 😉 This soup is one I’ve made before and keep coming back to. 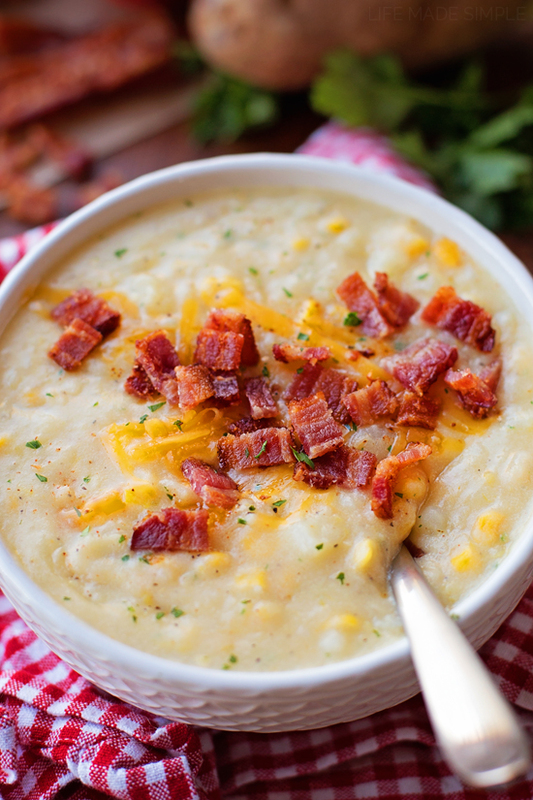 It’s chunky, creamy and topped with crisp pieces of bacon. Let’s be honest, everything is better with bacon! What I really love about this soup is how quick and easy it is to make. You only need a handful of ingredients and just over 30 minutes. Not bad, right?! 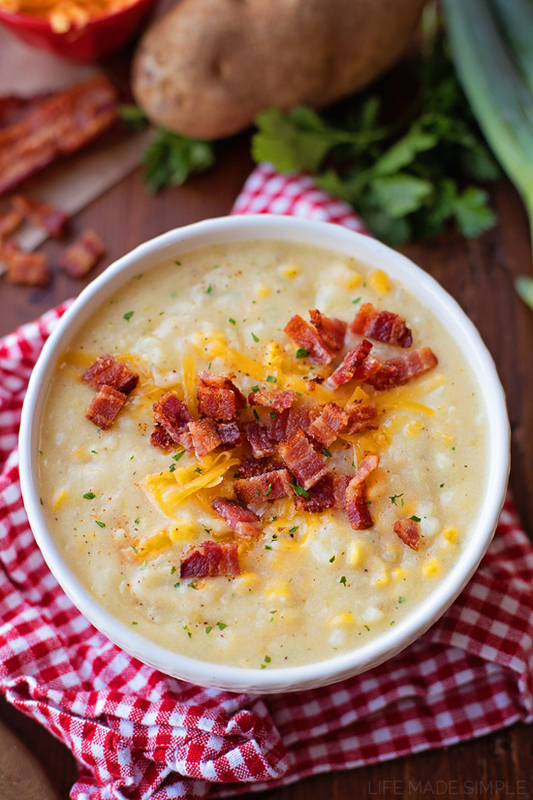 The one thing that makes this soup extra delicious (aside from the bacon) is the chopped leek. I know a lot of people aren’t familiar with leeks, or if they are they really hate cleaning them, but I absolutely love cooking with them! I’ve found the easiest way to get the dirt out of the ends is to cut the really green part off, and then quarter the leek down to the root (without going through it). Then fan out the leek and wash it root side up. All of that dirt will get rinsed out and then you can just chop it up as-is. Along with the leek you’ll want to toss in some chopped onion and minced garlic. Saute them in a bit of butter until they’re nice and tender, then add some flour and pour in the chicken broth & milk. Whisk, whisk, whisk and turn the heat up to a simmer. 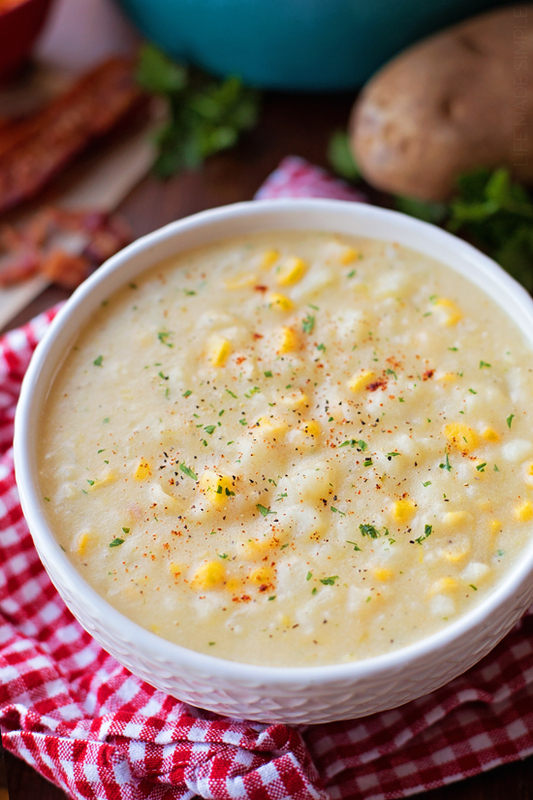 Add the chopped potatoes (I usually do about 1/4″ chunks) and corn (fresh or frozen) and season. 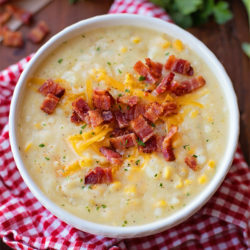 Turn the heat down and let it simmer for about 25 minutes, then remove the pot from the heat and stir in some grated cheddar cheese and crisp crumbled bacon. You can sprinkle in some minced parsley, but that’s totally optional. Serve immediately and watch it get devoured within seconds. 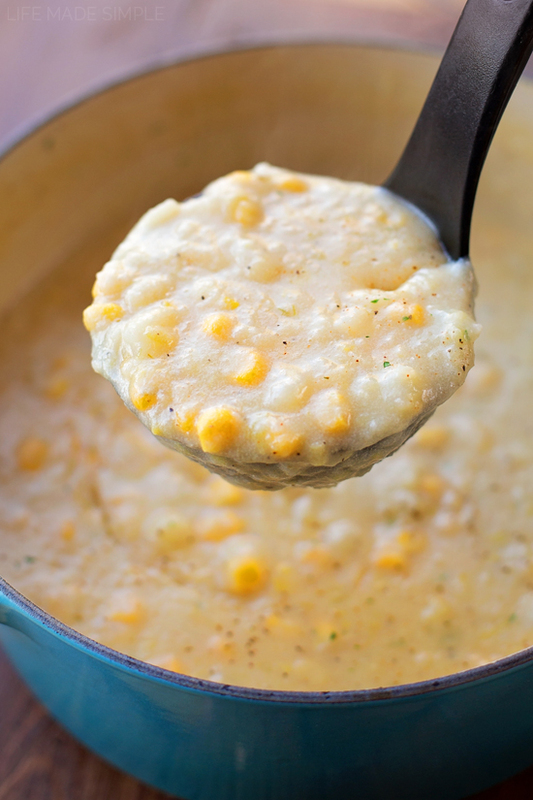 Seriously though, we inhale this soup! It’s hearty, flavorful, filling and will definitely keep you coming back for more! Enjoy!! 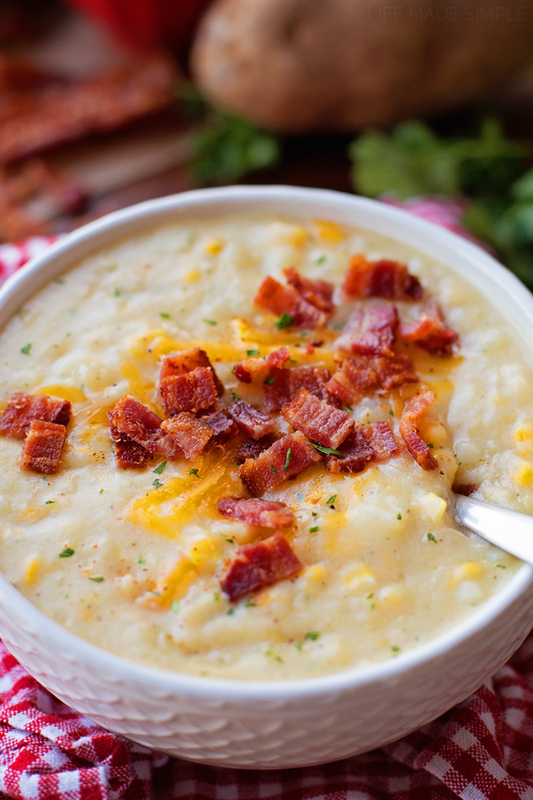 This cozy potato corn and bacon chowder is a quick, easy & filling meal! It’s packed full of flavor and is ready to go in a little over 30 minutes! – This soup reheats really well, I usually add a bit of water to it before reheating it.